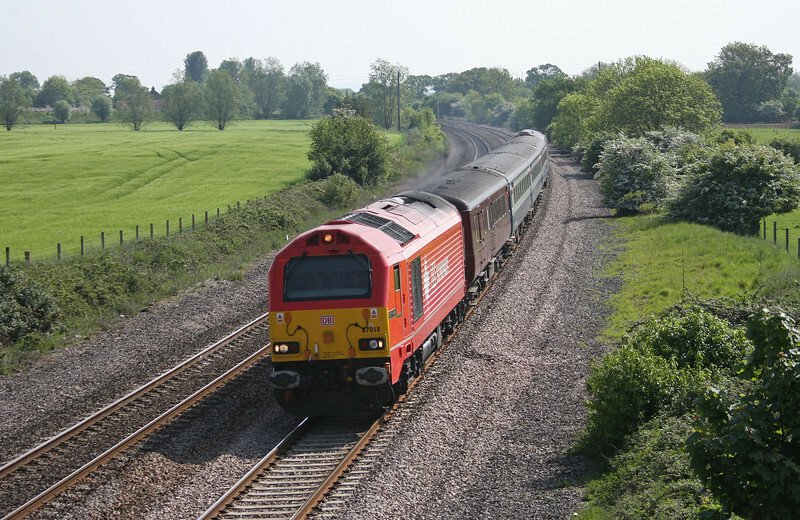 67022/67029, 12.47 Paignton-Cardiff Central, Cullompton, 4-5-10. 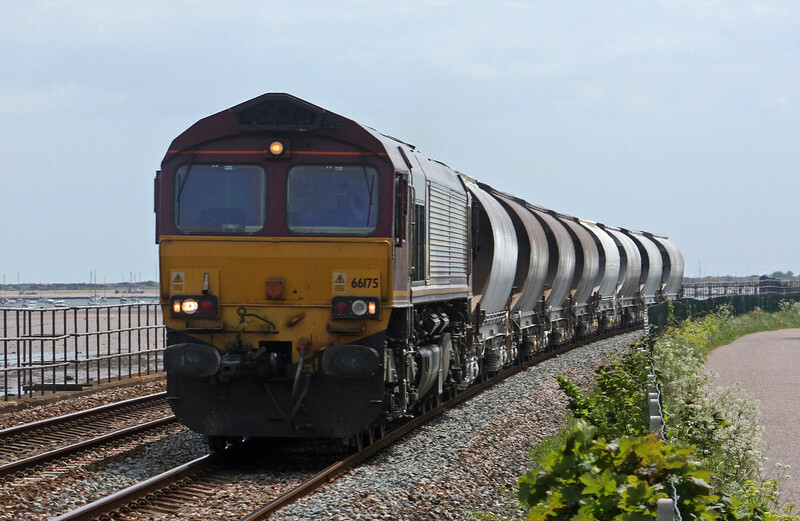 66112, 08.48 Fawley-Plymouth Tavistock Junction Yard, Beam Bridge, near Wellington, 4-5-10. 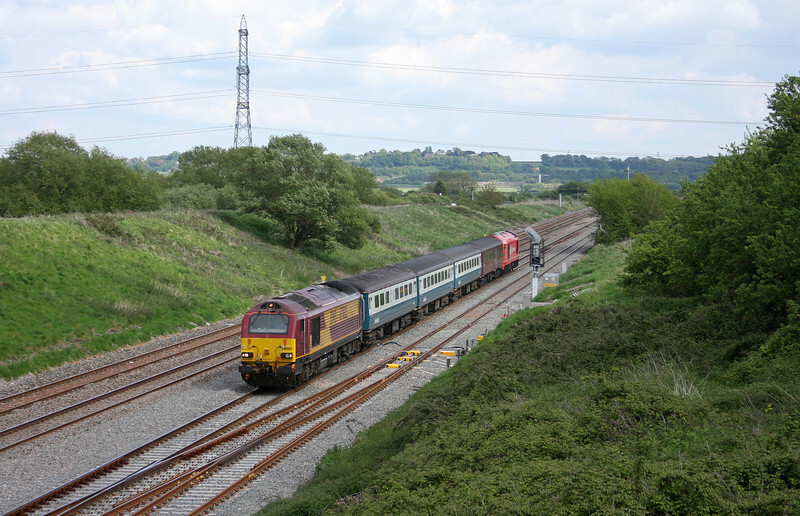 67029/67022, 17.00 Cardiff Central-Paignton, Creech St Michael, near Taunton, 5-5-10. 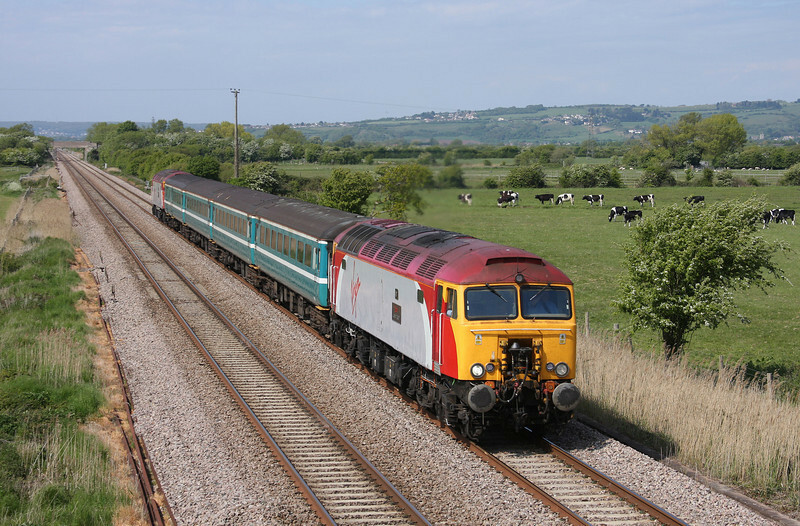 57308/57306, 10.10 Weston-super-Mare-Taunton, Creech St Michael, near Taunton, 7-5-10. 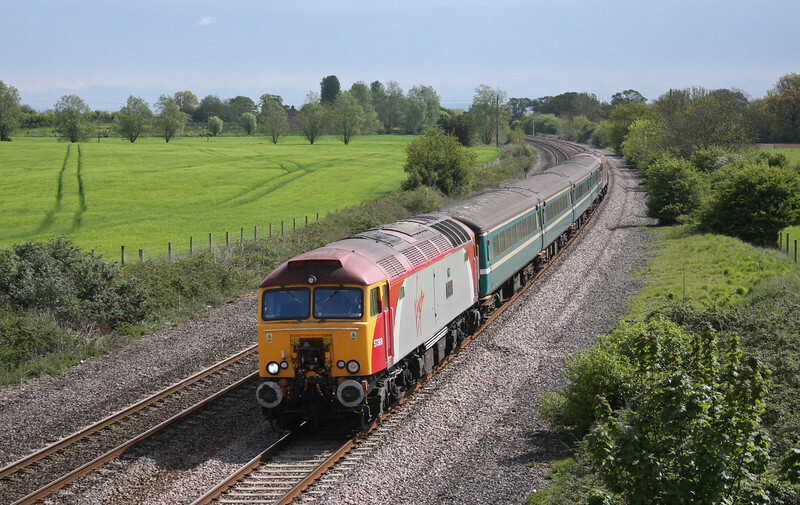 57308/57306, 10.10 Weston-super-Mare-Taunton ecs, Creech St Michael, near Taunton, 10-5-10. 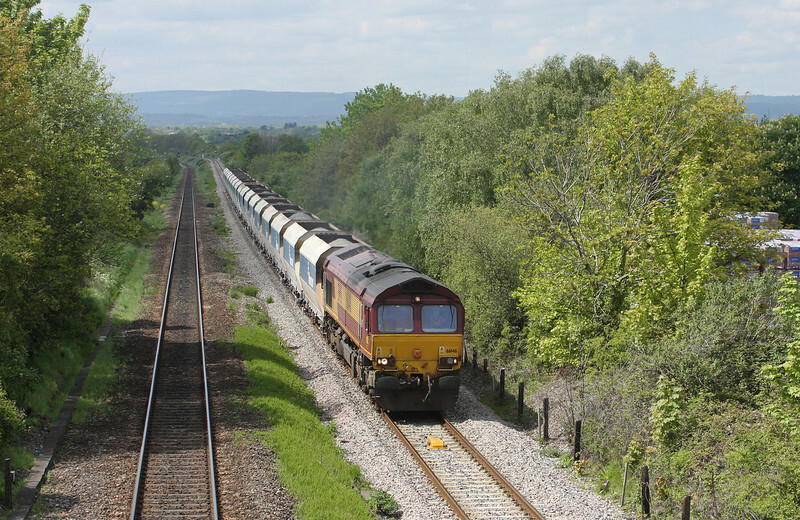 57306/57308, 11.02 Taunton-Cardiff Central, Creech St Michael, near Taunton, 10-5-10. 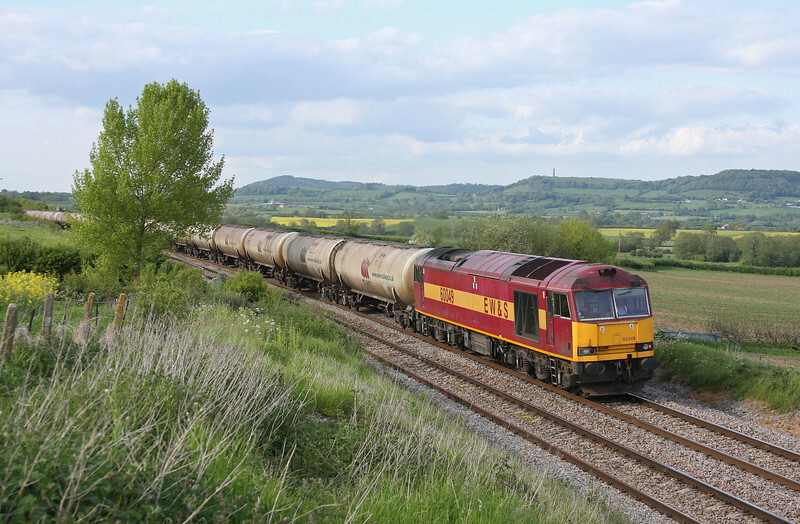 66612, 04.00 Whitemoor Yard-Taunton Fairwater Yard, Creech St Michael, near Taunton, 10-5-10. 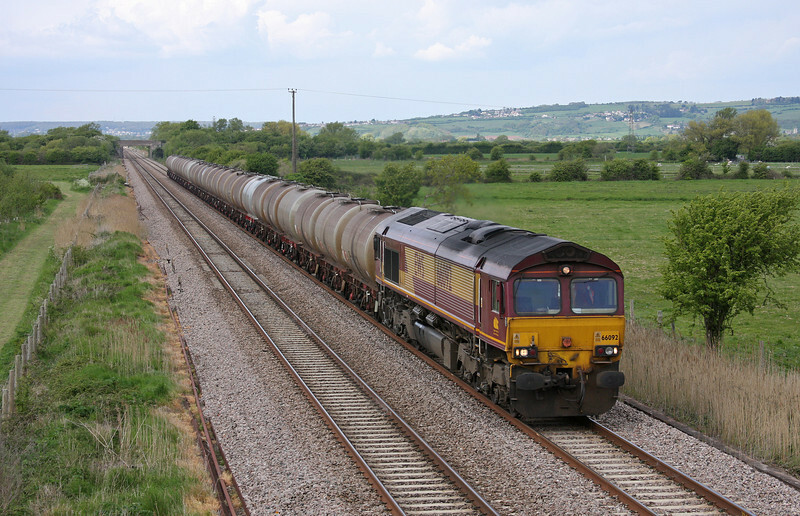 Track tester, up, 66616, 12.42 Westbury Virtual Quarry-Taunton Fairwater Yard, Bathpool, Taunton, 10-5-10. 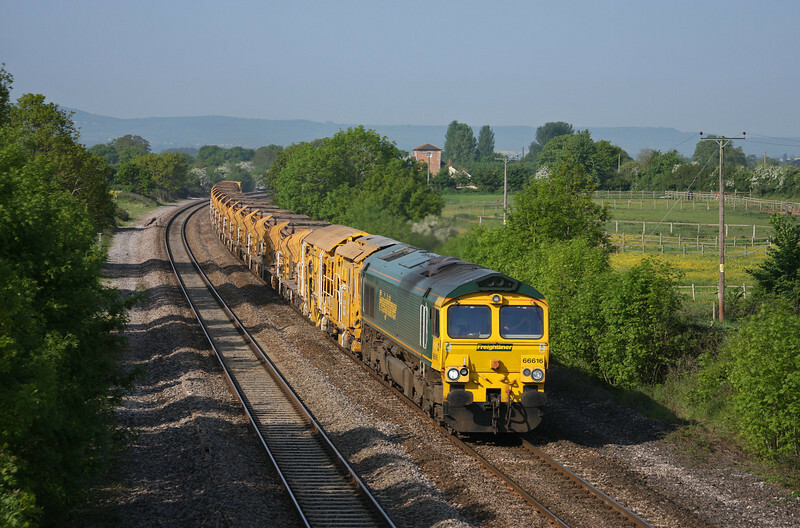 66616, 12.42 Westbury Virtual Quarry-Taunton Fairwater Yard, Bathpool, Taunton, 10-5-10. 67022/67018, 12.47 Paignton-Cardiff Central, Bathpool, Taunton, 10-5-10. 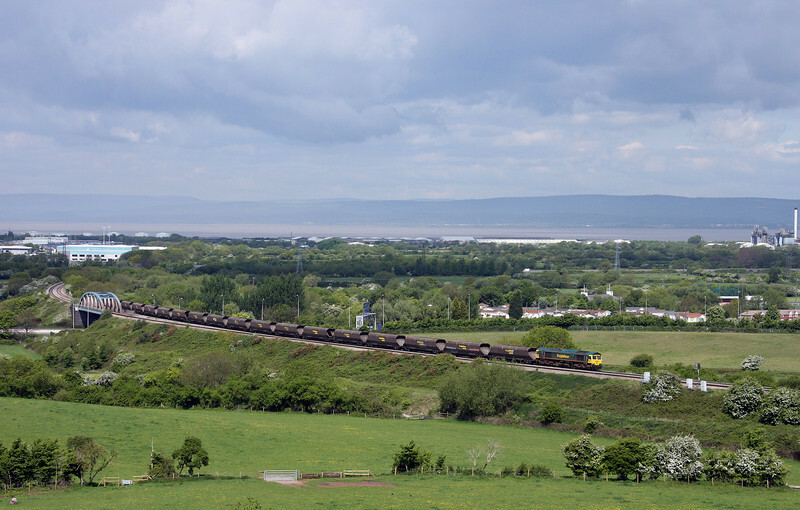 57308/57306, 14.00 Cardiff Central-Taunton, Cogload, 10-5-10. 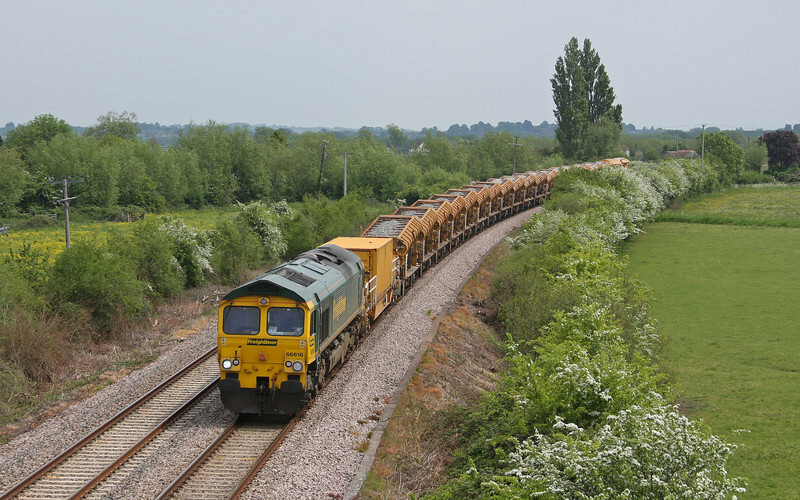 66712/66727, 06.17 Taunton Fairwater Yard-Peterborough Virtual Quarry, Oath, near Langport, 11-5-10. 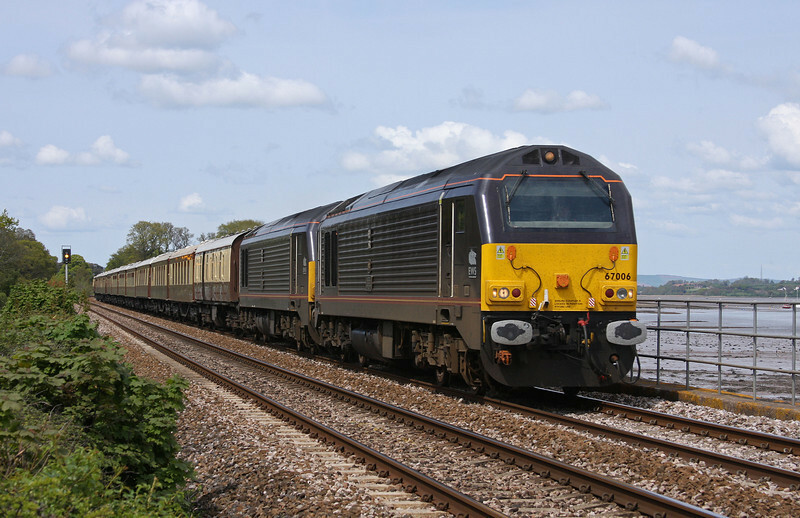 57306/57308, 07.28 Taunton-Cardiff Central, Cogload, 11-5-10. 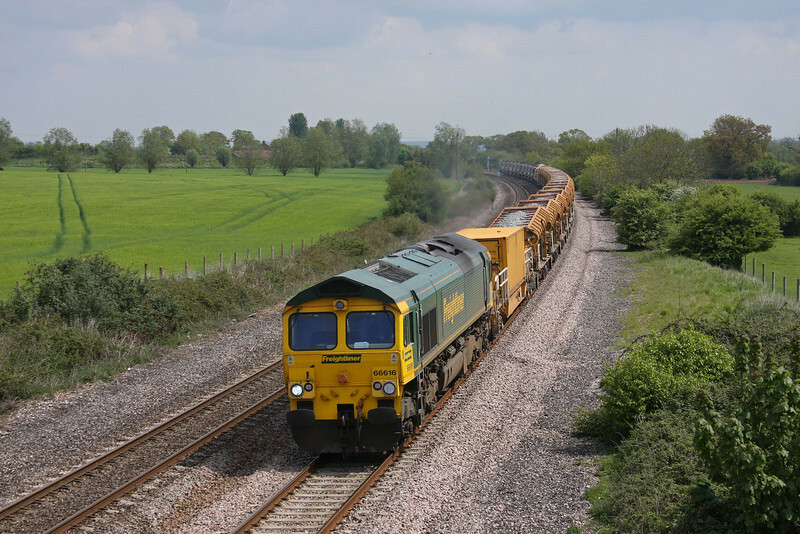 66611, 08.20 Taunton Fairwater Yard-Westbury Virtual Quarry, Cogload, 11-5-10. 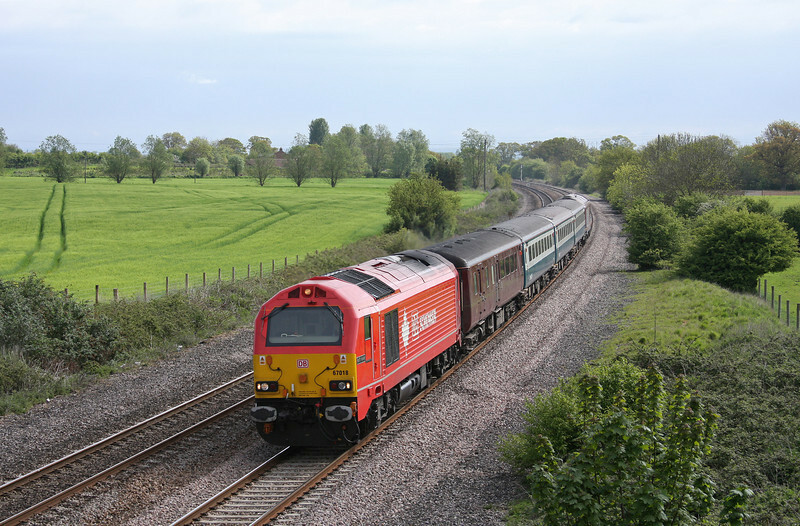 67018/67022, 08.00 Cardiff Central-Taunton, Creech St Michael, near Taunton,11-5-10. 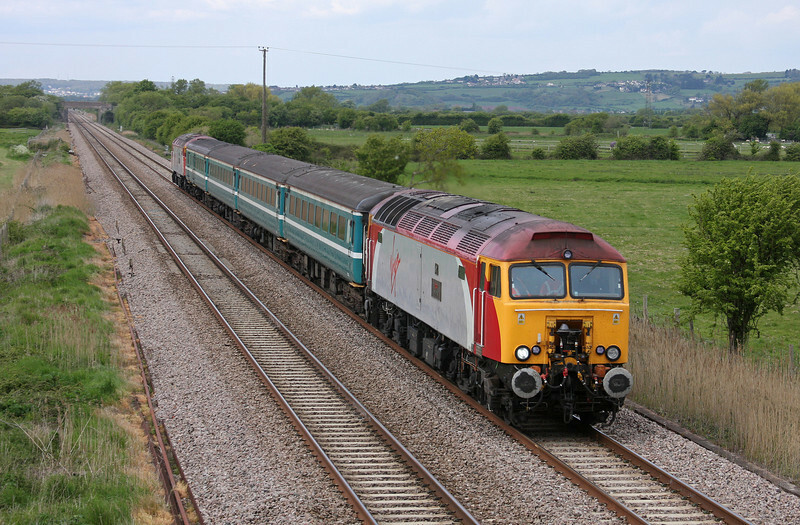 57308/57306, 10.10 Weston-super-Mare-Taunton ecs, Creech St Michael, near Taunton, 11-5-10. 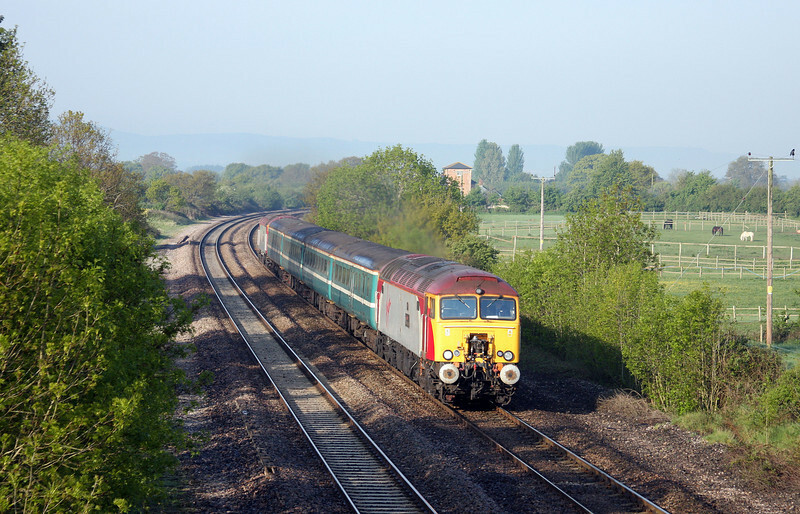 57306/57308, 11.02 Taunton-Cardiff Central, Bathpool, Taunton, 11-5-10. 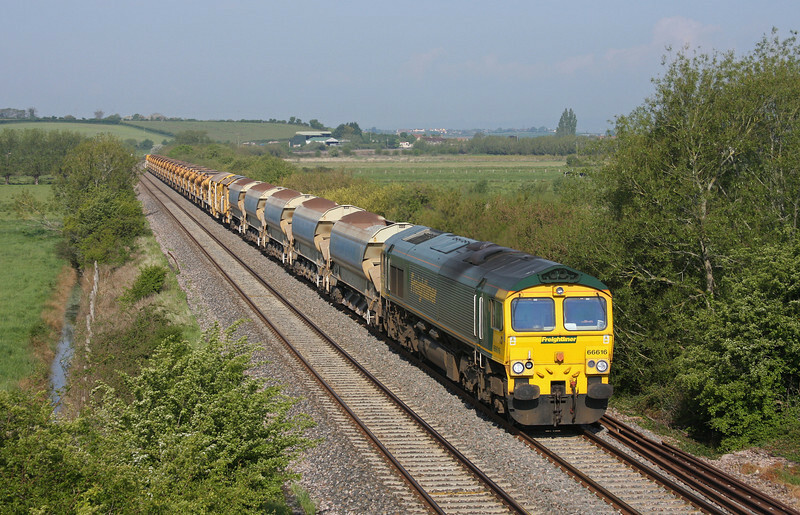 66611, 12.42 Westbury Virtual Quarry-Taunton Fairwater Yard, Creech St Michael, near Taunton,11-5-10. 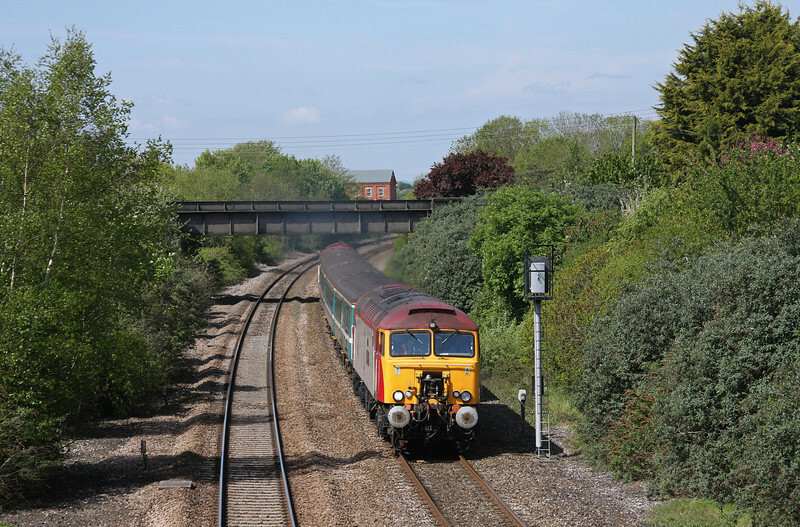 67022/67018, 12.47 Paignton-Cardiff Central, Taunton 40 Steps Bridge, 11-5-10. 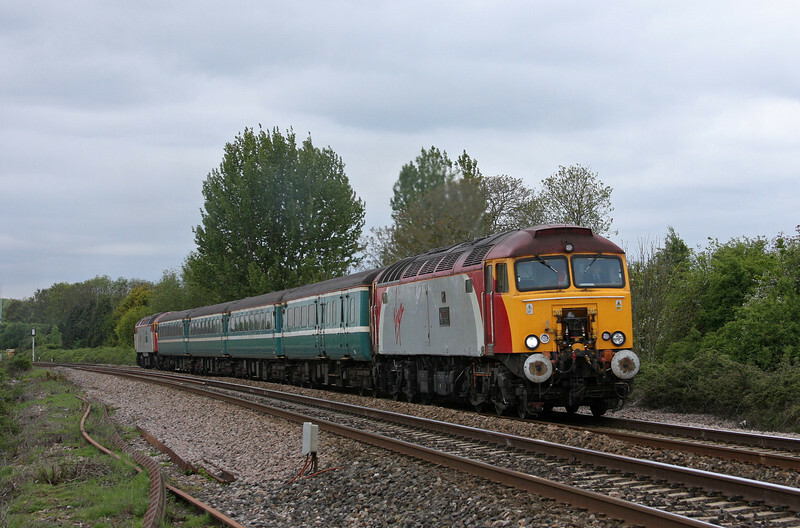 57308/57306, 14.00 Cardiff Central-Taunton, Middle Street, near Brent Knoll, 11-5-10. 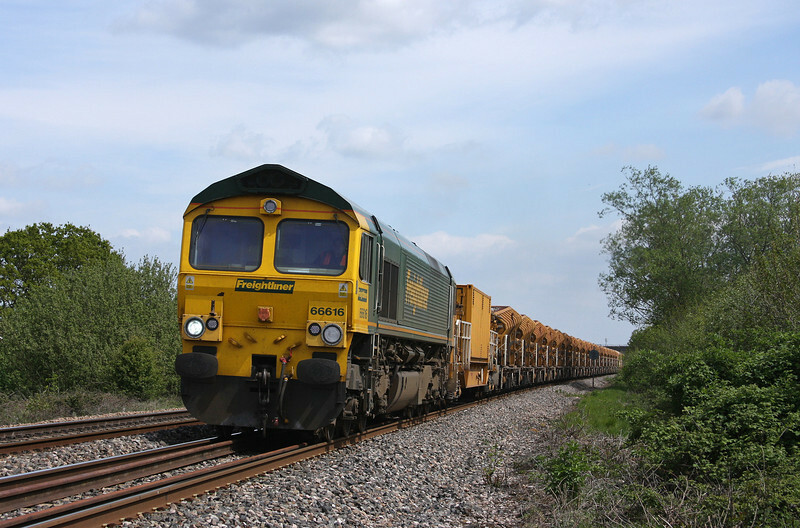 66092, 08.48 Fawley-Plymouth Tavistock Junction Yard, Middle Street, near Brent Knoll, 11-5-10. 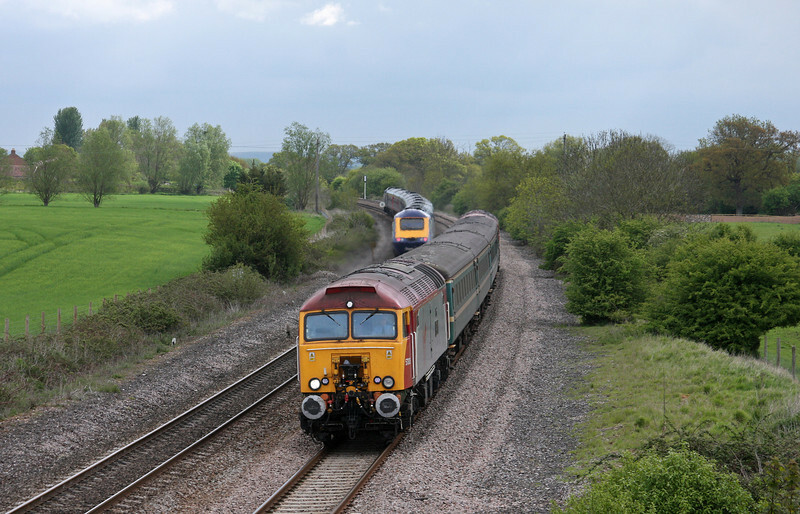 57306/57308, 16.16 Taunton-Cardiff Central, Middle Street, near Brent Knoll, 11-5-10. 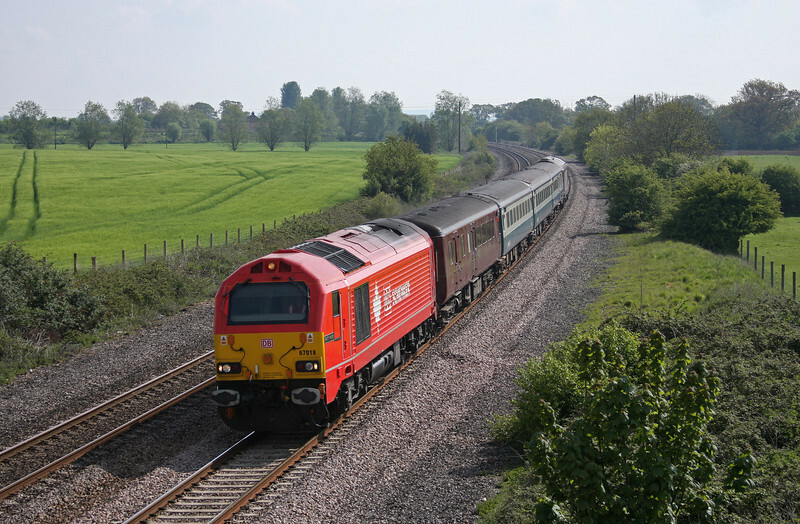 67018/67022, 17.00 Cardiff Central-Taunton, Creech St Michael, near Taunton, 11-5-10. 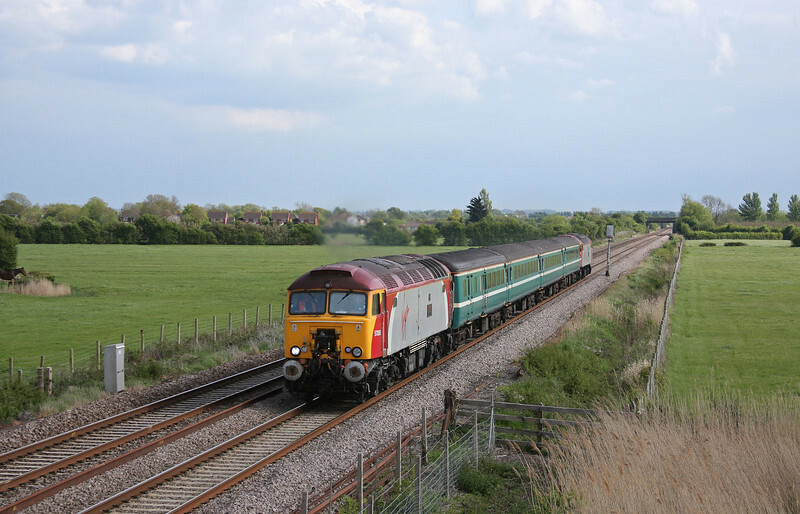 57306/57308, 07.28 Taunton-Bristol Parkway, Cogload Junction, 13-5-10. 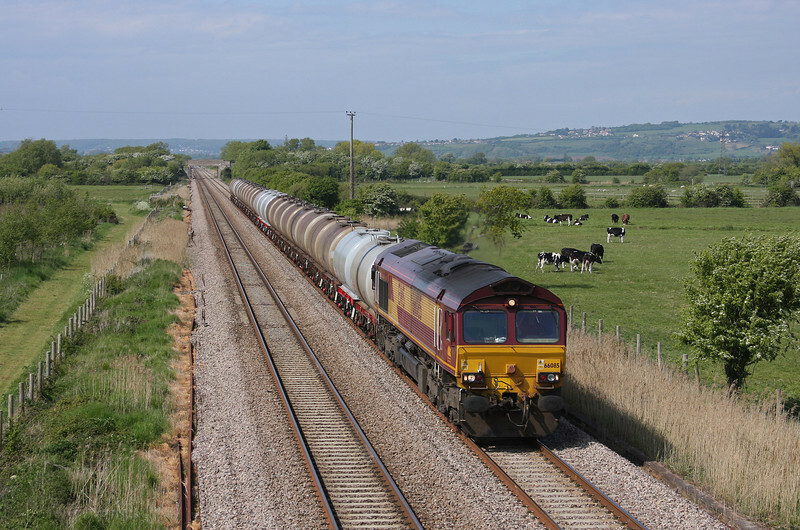 66616, 08.20 Taunton Fairwater Yard-Westbury Virtual Quarry, Wick, near Langport, 13-5-10. 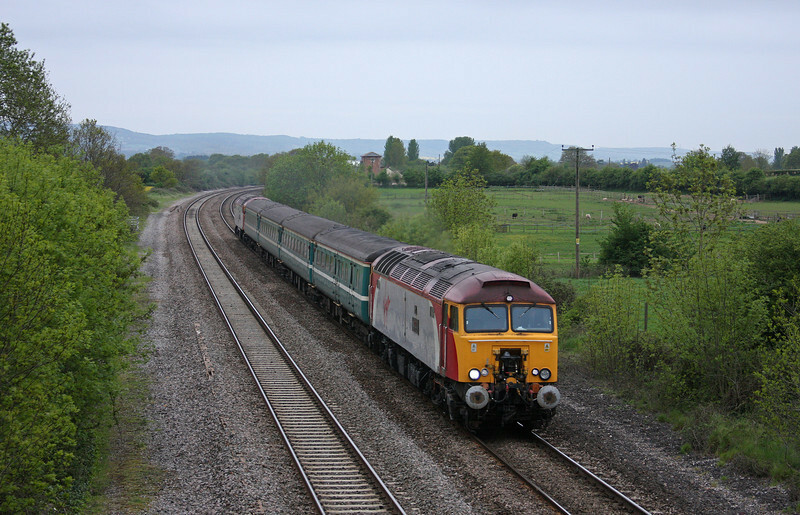 67018/67022, 08.00 Cardiff Central-Taunton, Creech St Michael, near Taunton, 13-5-10. 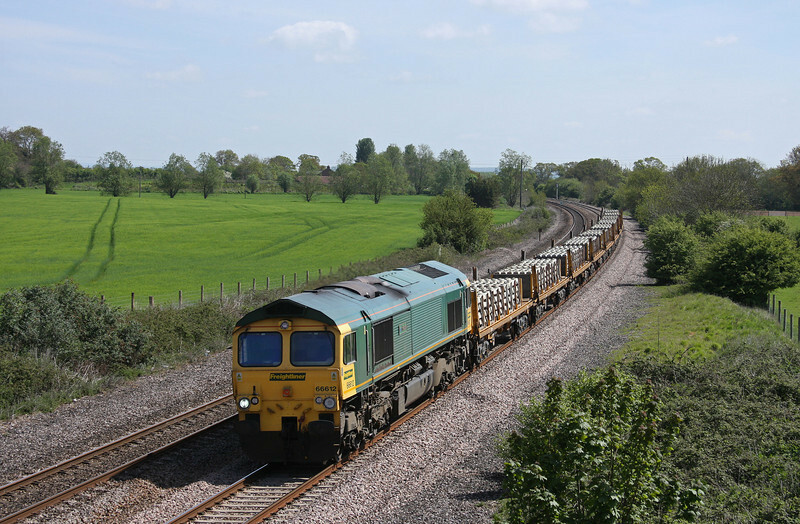 66616, 12.42 Westbury Virtual Quarry-Taunton Fairwater Yard, Creech St Michael, near Taunton, 13-5-10. 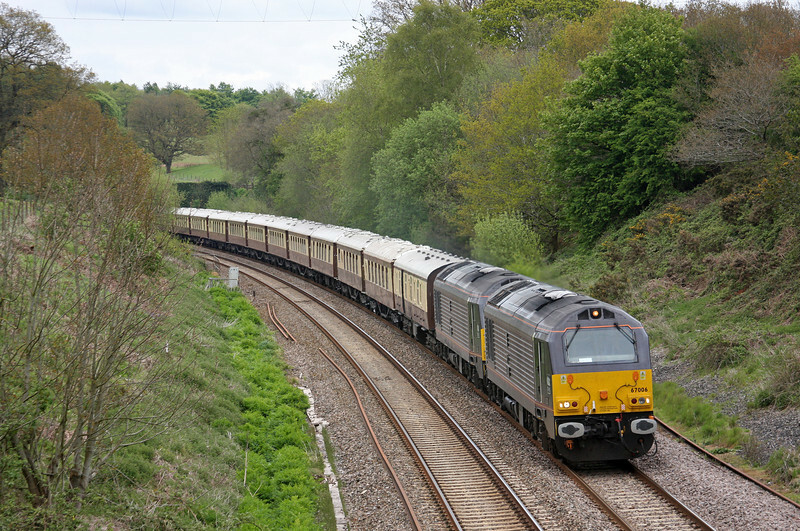 67006/67005, 09.48 London Victoria-Truro, Whiteball, 14-5-10. 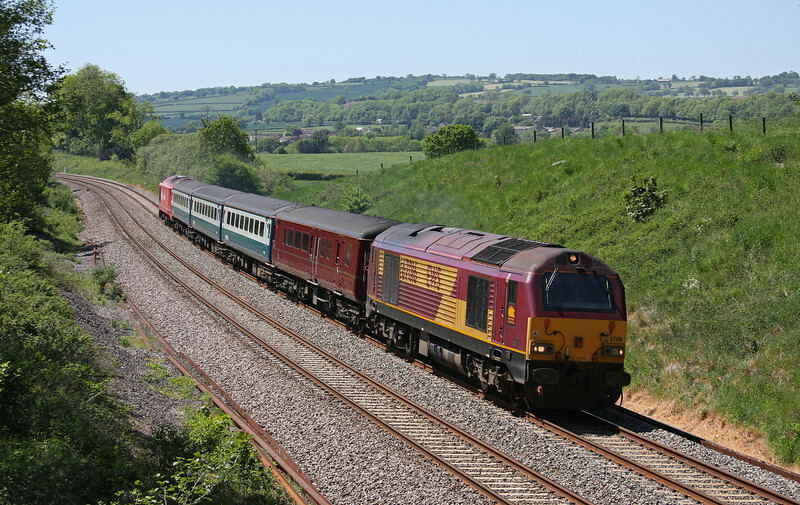 67005/67006, 11.30 Plymouth-Taunton, VSOE stock, Dawlish, 15-5-10. 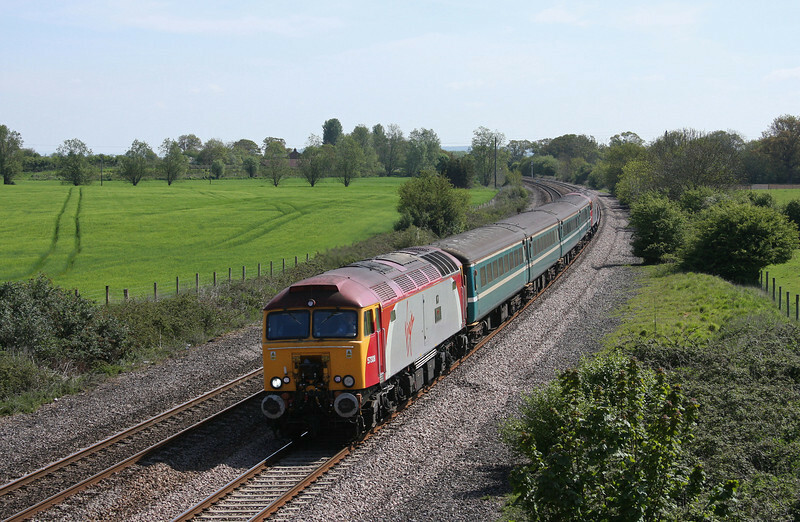 66175, 12.00 St Blazey-Bescot, Powderham, near Starcross, 15-5-10, early. 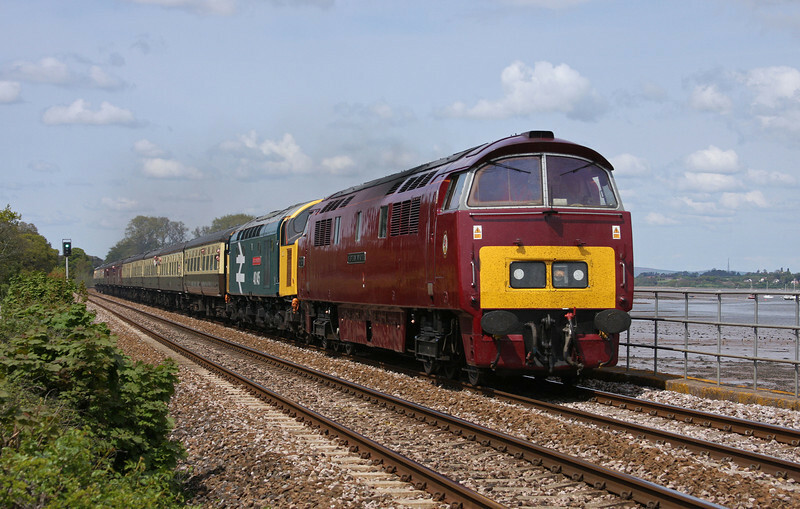 D1015/40145, 05.20 Crewe-Penzance, East Lancs Champion, Powderham, near Exeter, 15-5-10. 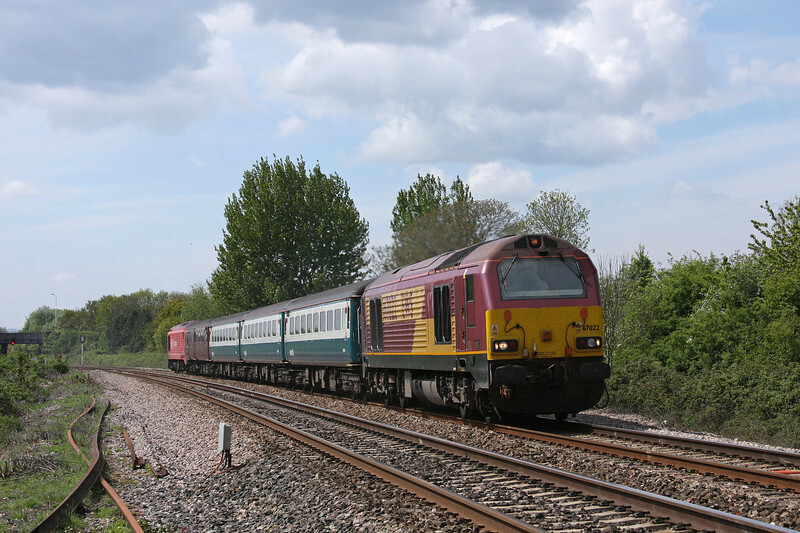 67006/67005, 13.50 Taunton-Plymouth, VSOE stock, Powderham, near Exeter, 15-5-10. 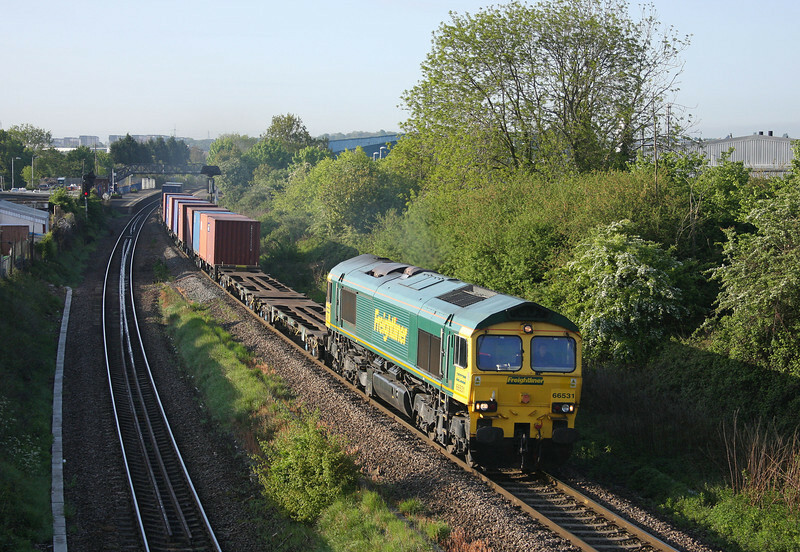 66531, 04.28 Southampton-Cardiff Wentloog, Patchway, Bristol, 17-5-10. 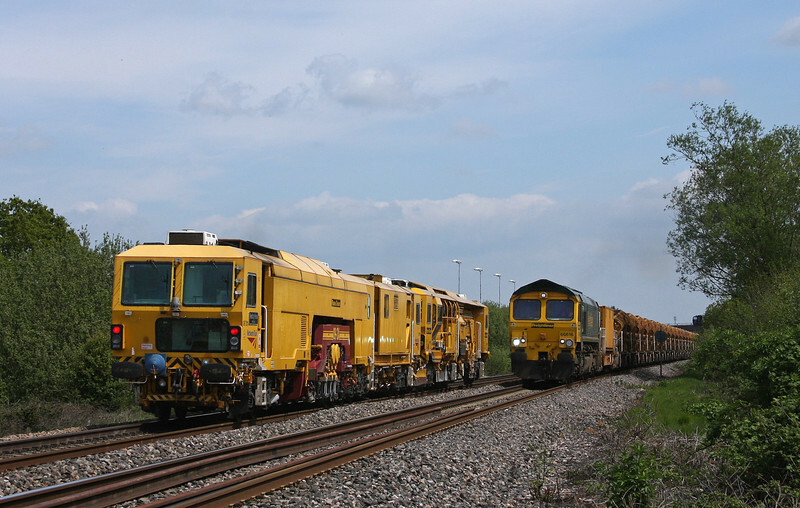 66596, Rugeley Power Station-Avonmouth Bulk Handling Terminal, Patchway, Bristol, 17-5-10. 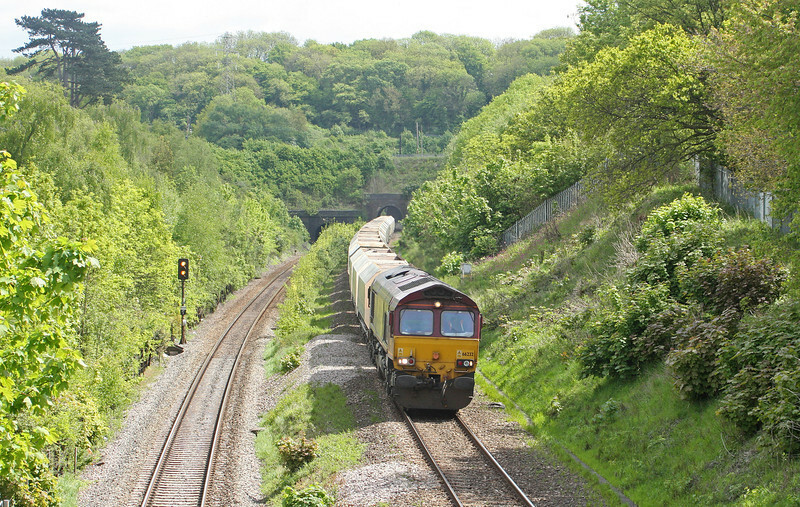 67018/67022, 08.00 Cardiff Central-Paignton, Patchway, Bristol, 17-5-10. 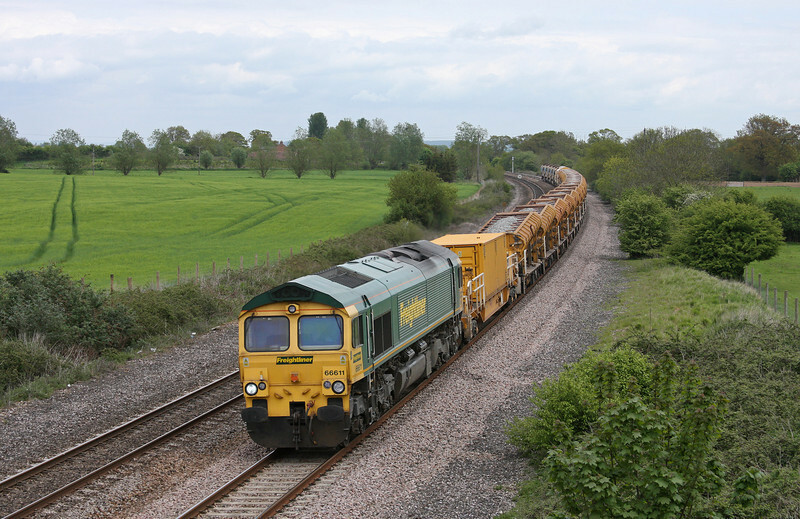 66596, 10.50 Avonmouth Bulk Handling Terminal-Rugeley Power Station, Hallen Marsh, Bristol, 17-5-10. 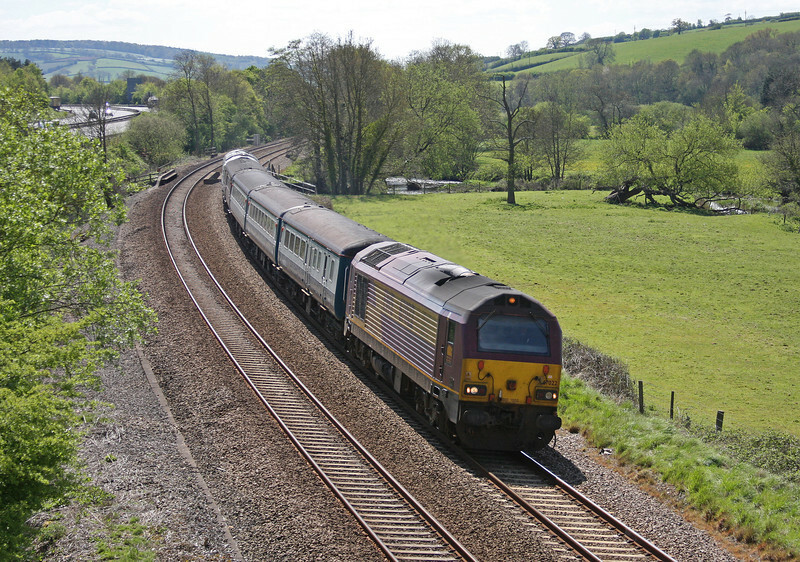 60074, 05.05 Robeston-Westerleigh, Westerleigh, Bristol, 17-5-10. 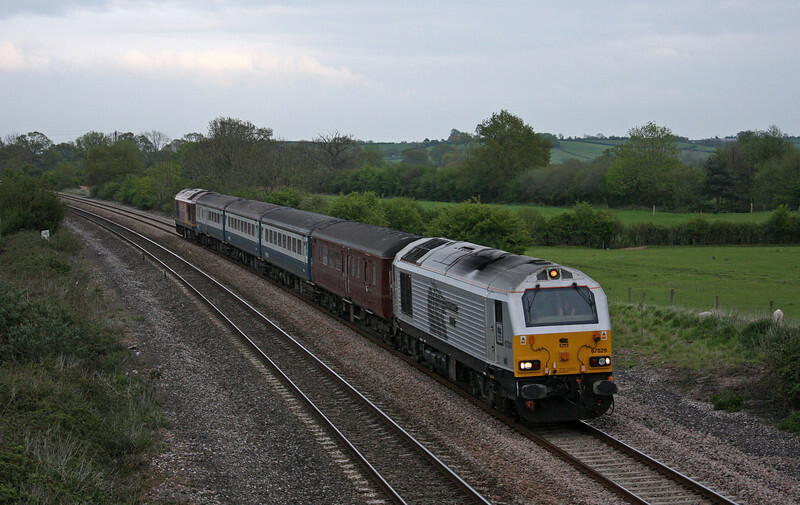 66232, 10.47 Hayes-Moreton-on-Lugg, Cattybrook, Bristol, 17-5-10. 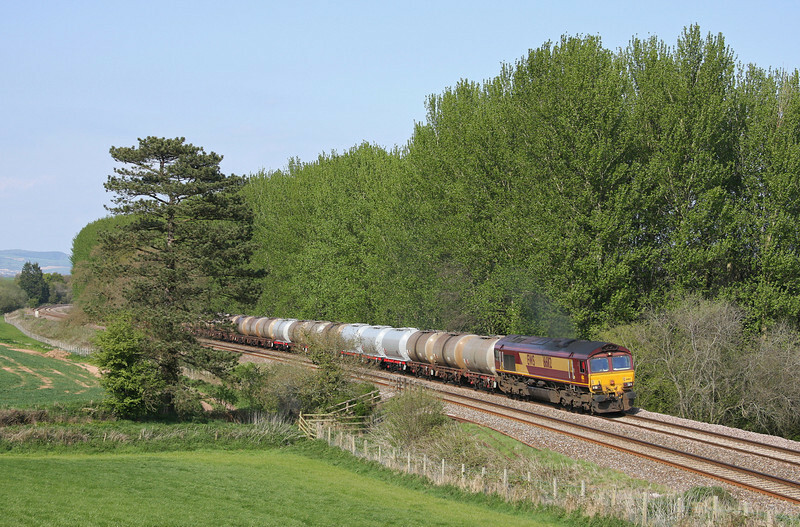 66146, 12.40 Machen-West Drayton, Cattybrook, near Pilning, 17-5-10. 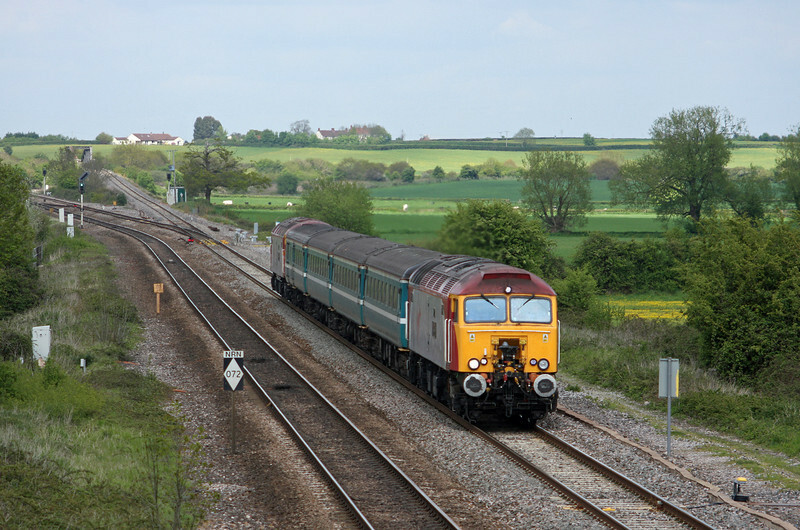 57305/57306, 14.00 Cardiff Central-Taunton, Pilning, 17-5-10. 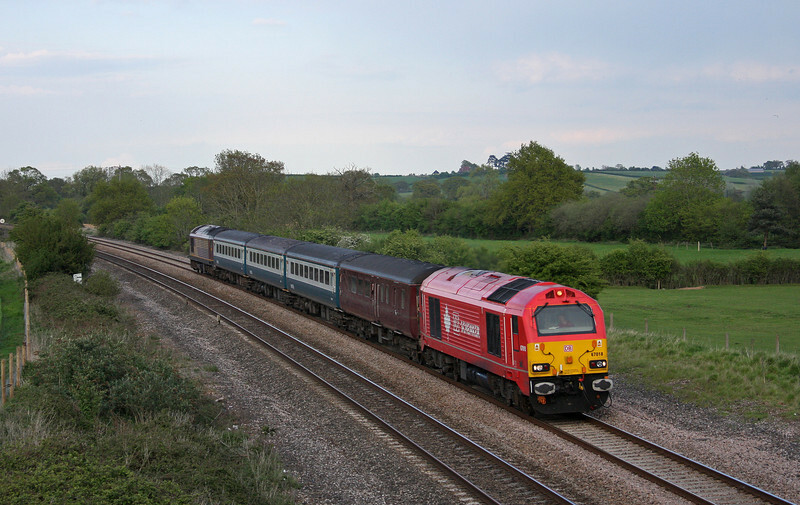 67022/67018, 12.47 Paignton-Cardiff Central, Pilning, 17-5-10. 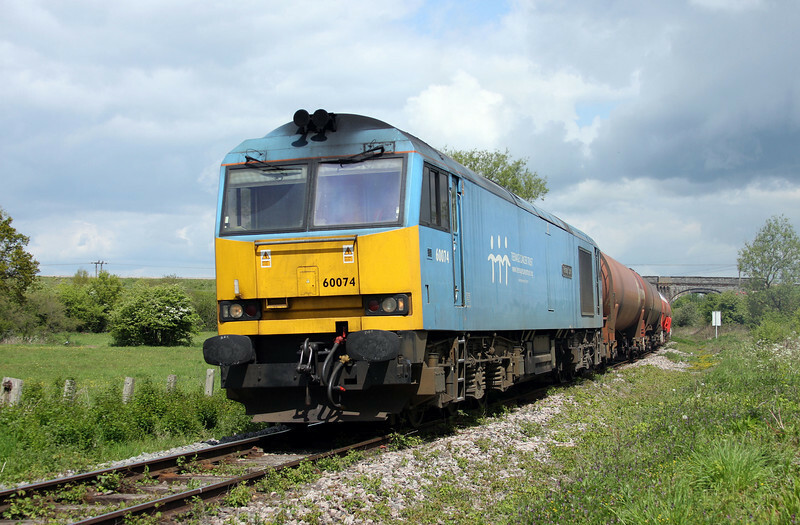 60049, 09.14 Lindsey-Westerleigh, Charfield Hall Farm, Charfield, Gloucestershire, 17-5-10. 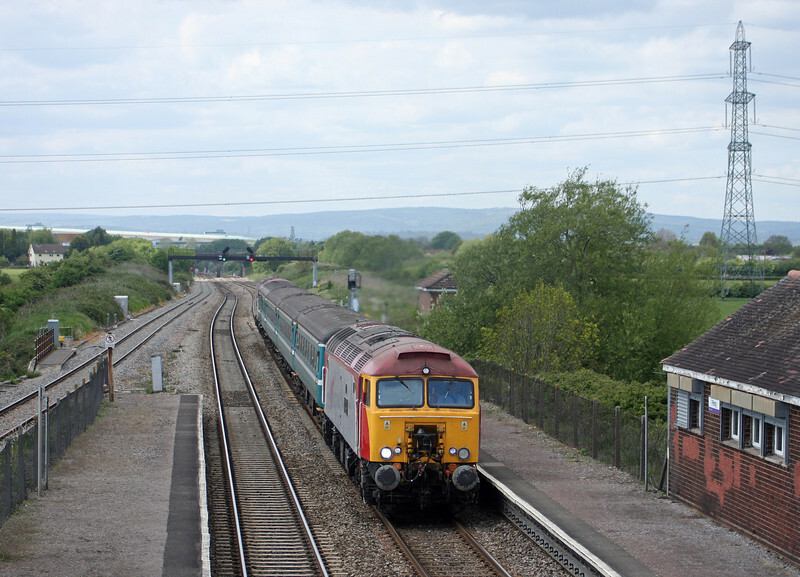 57305/57306, 14.00 Cardiff Central-Taunton, Middle Street, near Brent Knoll, 18-5-10. 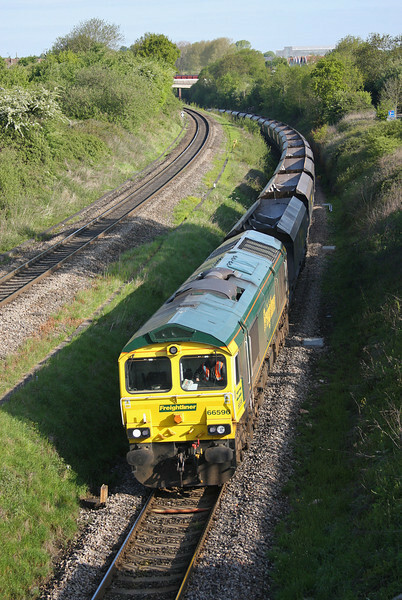 66085, 08.48 Fawley-Plymouth Tavistock Junction Yard, Middle Street, near Brent Knoll, 18-5-10. 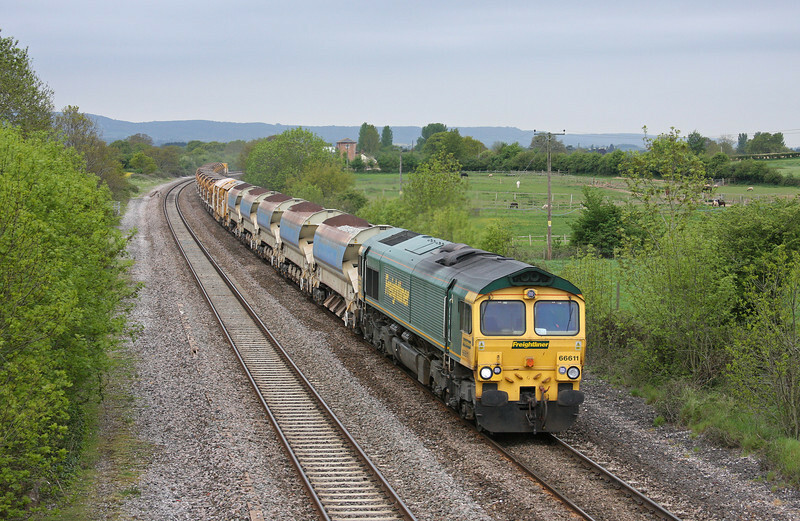 66616, 08.20 Taunton Fairwater Yard-Westbury Virtual Quarry, Cogload Junction, 21-5-10. 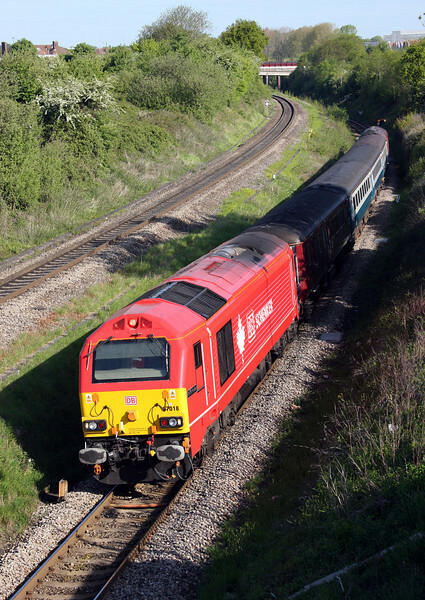 67018/67022, 08.00 Cardiff Central-Paignton, Creech St Michael, near Taunton, 21-5-10. 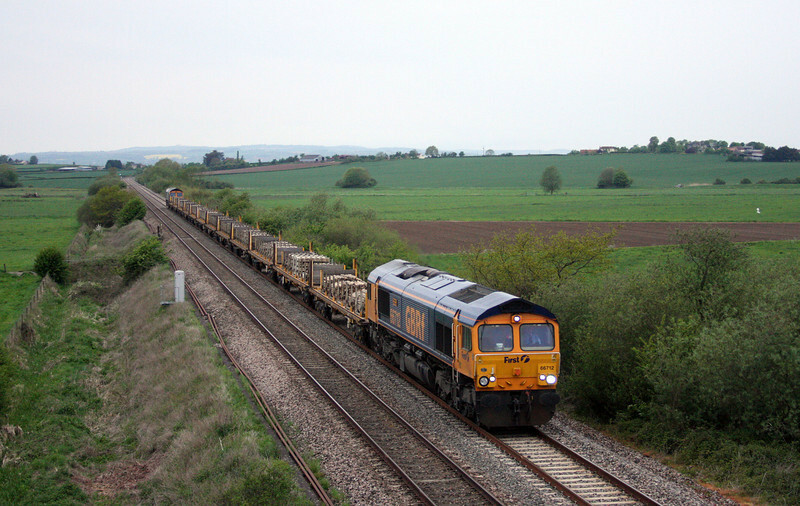 66616, 12.42 Westbury Virtual Quarry-Taunton Fairwater Yard, Oath, near Langport, 21-5-10. 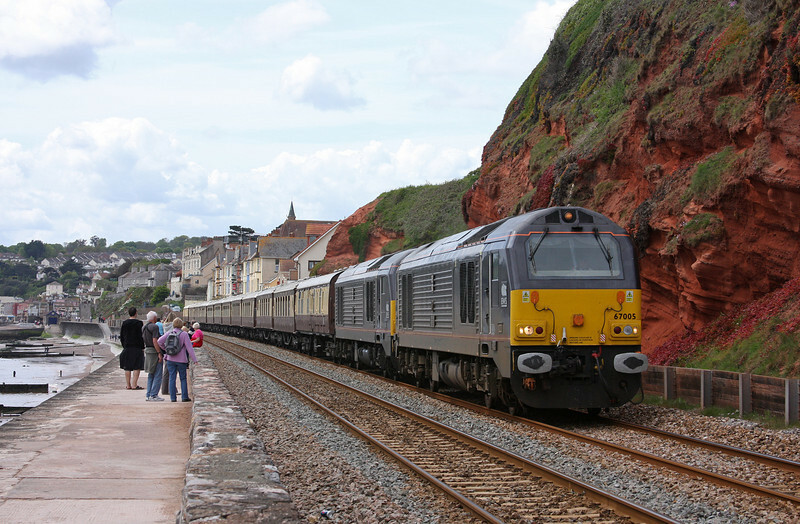 67016/67018, 12.47 Paignton-Cardiff Central, Whiteball, 24-5-10.